Proposed sketches for a design tender package. 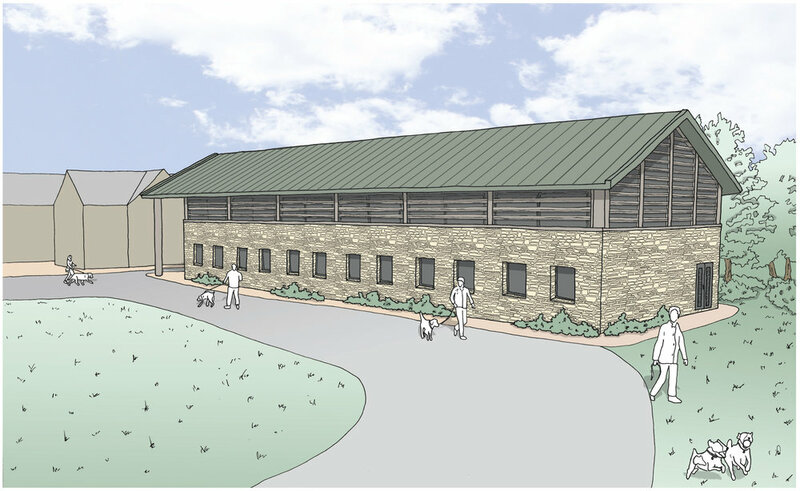 Locally cut stone and timber louvres to make the building fit in with the surrounding woodland. The reception building features a double height entrance with offices above for around 60 staff. Sliding walls were proposed to create a flexible office space for multipurpose uses. 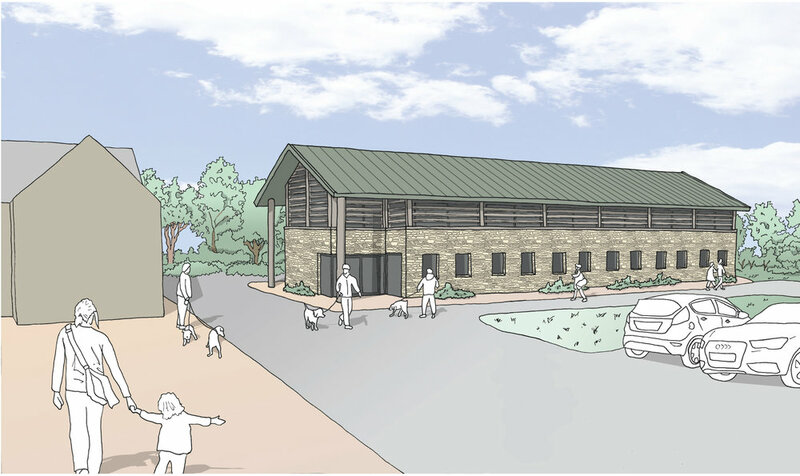 The timber louvres and the proposed rainwater collection system were incorporated to create a sustainable commercial building.